The need for many of our customers to perform compliance testing led Crescent Design to expand the capabilities of the HBLT product line to include both contact and non-contact diameter measurement. 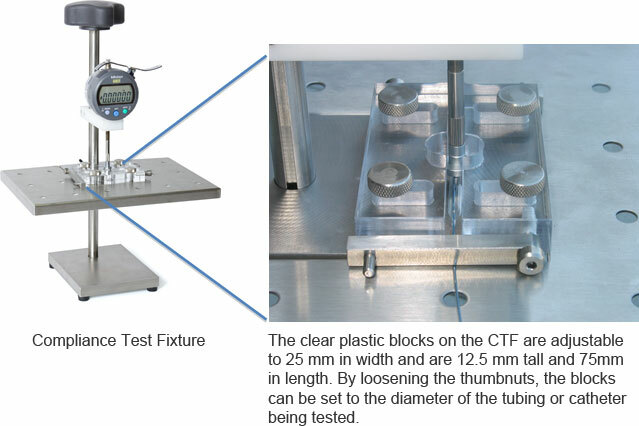 Crescent Design’s Compliance Test Fixture (CTF) uses a standard, low-force Mitutoyo Digimatic gauge for taking contact diameter measurements and the Keyence LS Optical Micrometers are used for taking non-contact diameter measurements. 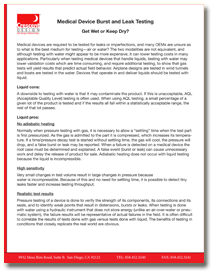 A variety of different water baths are available to accommodate compliance testing of products while submerged in temperature controlled water. 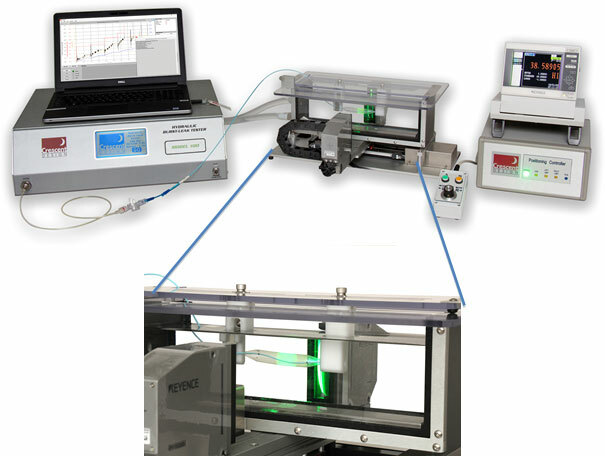 Crescent Design’s Positioning Controller can be integrated with a Keyence LS7070 Optical Micrometer and specialized balloon holder water bath in order to take diameter measurement in multiple locations during testing. Crescent Design has integrated Keyence’s line of LS7000 series micrometers to provide our customers with the most reliable method for taking non-contact fixed point diameter measurements of products during testing. Crescent Design offers a wide range of water baths in order to accommodate the many different sizes of products that our customers test with the HBLT. These baths are designed to be used with the Keyence LS7030 and LS7070 Optical Micrometers. They are available in 11, 14 and 20 inch lengths with a standard or Balloon Holder lid. 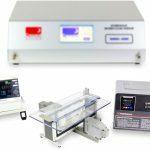 Crescent Design’s Positioning Controller is intregrated with the Keyence LS7070M Optical Micrometer and Crescent Design Balloon Holder Water Bath to take diameter measurements of products in multiple locations during pressure testing. It is available with 8 inches of travel (14 inch bath) or 14 inches of travel (20 inch bath). The Positioning Controller can be operated manually or automatically using Crescent Design’s LabGenie software.